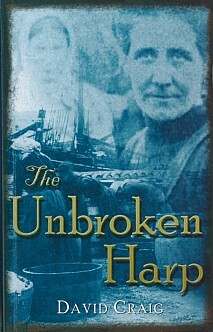 A novel of extraordinary strength and power focusing on a woman evicted in the Clearances who throughout a life's hard toil keeps the the memory of her people's travail. This novel, from a foremost expert on the Clearances, tells the story of Flo Campbell and her eviction from the family's island home, and all her subsequent struggles. The compelling storyline has terrific energy, from Flo's leaving the Outer Hebrides to her involvement in the Crofters' War and her departure to other islands and beyond. Flo's spirit remains unquenched whether challenged by the faithlessness of lovers or the callousness of employers and she is a historical witness who embodies the undying memories of her Highland people. She spends much of her life in the lowlands of Britain and in this as in many ways she incarnates the crofters, fishermen, labourers and artists who spring from that epic northern terrain. This is a masterful portrayal of the gruelling exodus brought about by the Clearances and also of what it takes for a woman to remain herself and make her way in the world. Everyone reading this beautifully written book will have no difficulty sympathising with the central character. It will appeal to anyone with an interest in the Clearances, Scotland or who just appreciates a good read.